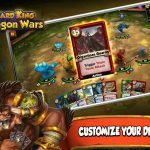 Card King: Dragon Wars may only be available on iOS for the time being, but as far as card battle games go, this Crooz title is proving to be quite a popular one. The company makes no bones about the fact that this is a card battler, talking about how “cards become creatures”, and while a lot of the mechanics of this title are similar to vintage card battle mechanics, there may be a lot to learn if you’re new to this genre. And we haven’t even mentioned the unique twists the developer has included to ensure this game stands out from the competition. Today, we’ve got some Card King: Dragon Wars tips and tricks for securing more rare creatures (ergo, rare cards), which is the best path to success in both single-player and Battle Arena modes. 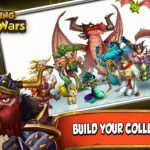 Gems are Card King: Dragon Wars’ premium currency, and your first instinct may be to spend them whenever you need a do-over and need another try in a battle. You may also consider spending Gems to get your energy back. We advise you not to do either – Gems are best spent on Creature Eggs, and Creature Eggs alone. That’s going to guarantee you a three-star creature or better, and that is already sort-of rare, as most of the 300 or so creatures in this game have only one or two stars. When it comes to spending Dragon Fangs, don’t hesitate to spend them all. These are easier to get in general, but with that comes a larger possibility you’ll end up with some relatively useless creatures. Still, there is a chance you’ll get a three-star creature, though that’s as far as you can go with Dragon Fangs. 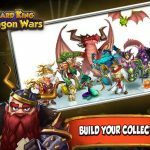 Playing Card King: Dragon Wars everyday could give you some sweet rewards. You can earn Dragon Fangs, Gems, and maybe rare four- or five-star creatures, so make it a point to play the game for a few minutes a day, at the very least. In fact, you can simply login without playing and you’ll still have that count towards the number of days you’ve played consecutively. Occasionally, you’ll get to take part in limited-time events Crooz would launch on occasion – these could give you a shot at some four- or five-star creatures, though that’s not at all a guarantee in these events. As you progress further and increase your rank in the Arena, you’ll get a better chance of scoring a rare creature. Likewise, you’ll get better rewards as you take on more advanced single-player campaigns, and those rewards may also include a rare card or two. Although it’s going to take a while, evolving the existing creatures you have could eventually get you a four- or five-star monster. Start by leveling them up fully, then evolve them so that you can get another version of said creature with a higher star rating. 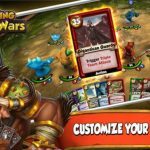 If you missed our general tips and tricks for Card King: Dragon Wars you can check them out right here. We also provided some hints on how to get more success in arena battles, so if you are interested in that aspect of the game, we’ve got you covered.